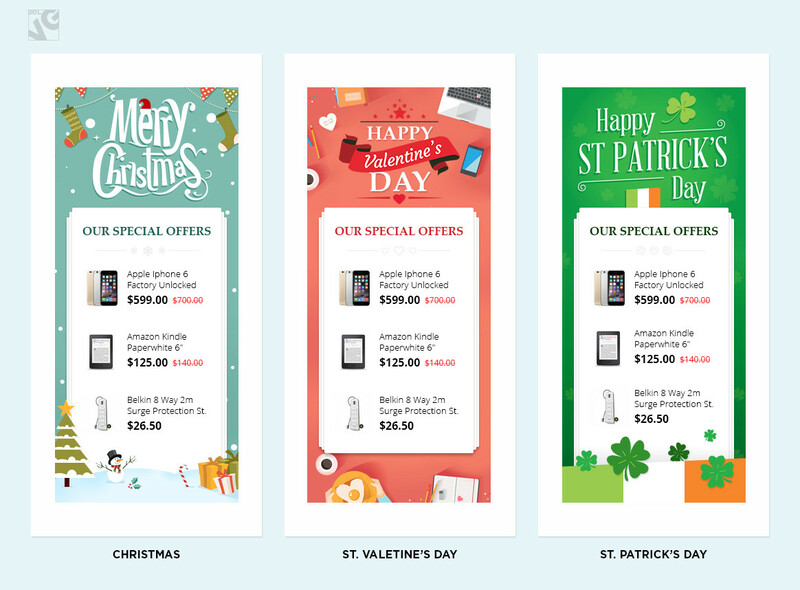 Every customer loves holiday sales and special offers. 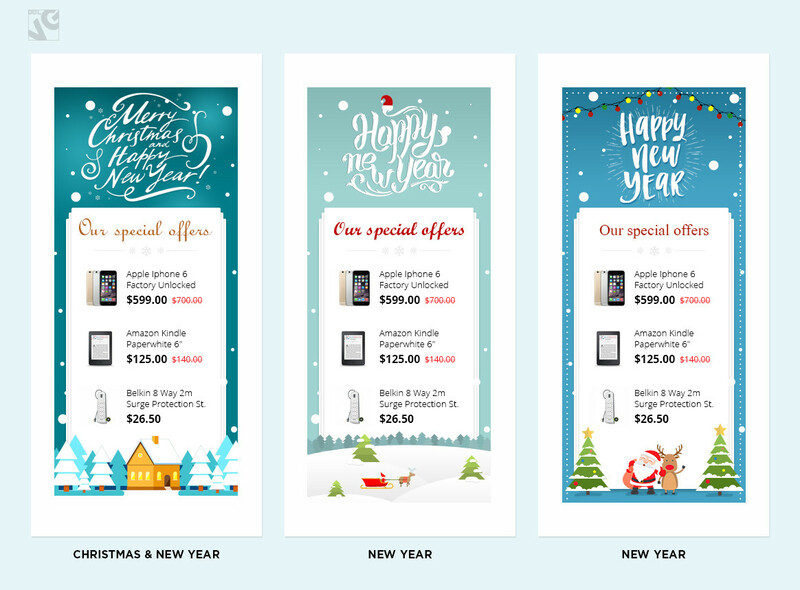 Our Promotional Banner module allows you to add special holiday-themed banners to your store pages in order to promote certain products in holiday period. 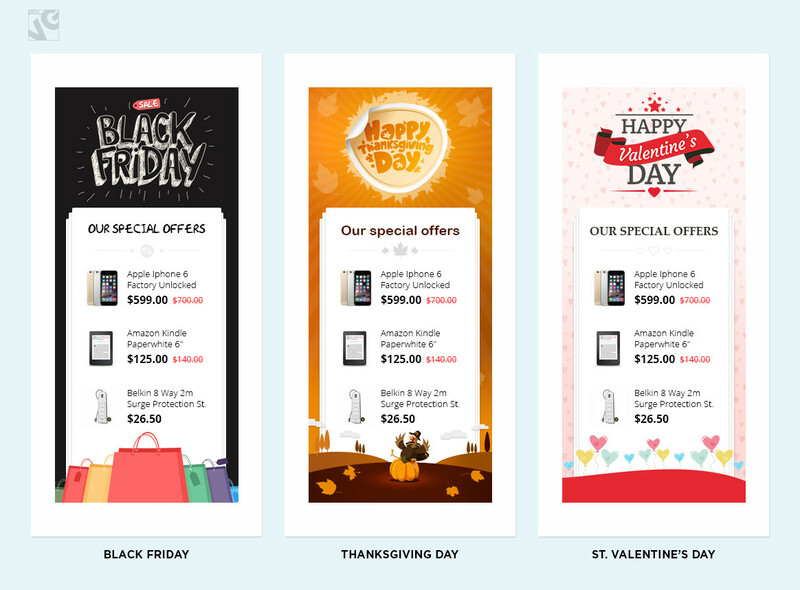 Prestashop Promotional Banner module will help you to get ready and prepare your website for special offers and sales dedicated to most popular holidays. Once enabled the extension places a special promotional banner to all pages of a website. 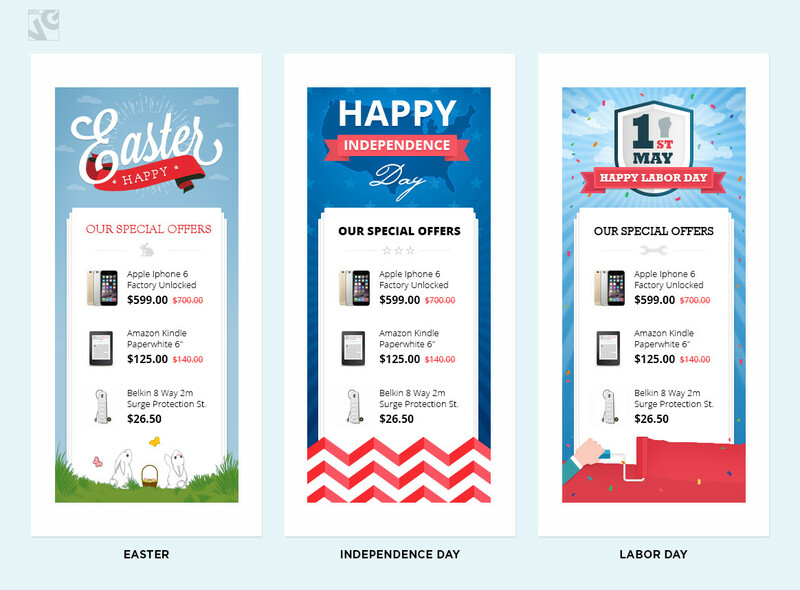 In this banner you can advertise products and items which are under the special offer or promotion. 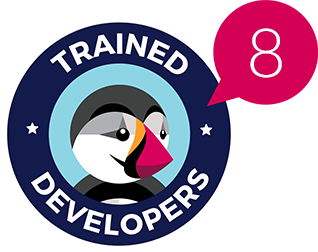 The module includes fifteen predefined themes which are devoted to such popular holidays as Cyber Monday, New Year, Halloween, Christmas, St. Valentine’s Day and many others, so you will not need to waste your time for creating your own design – all is already included! 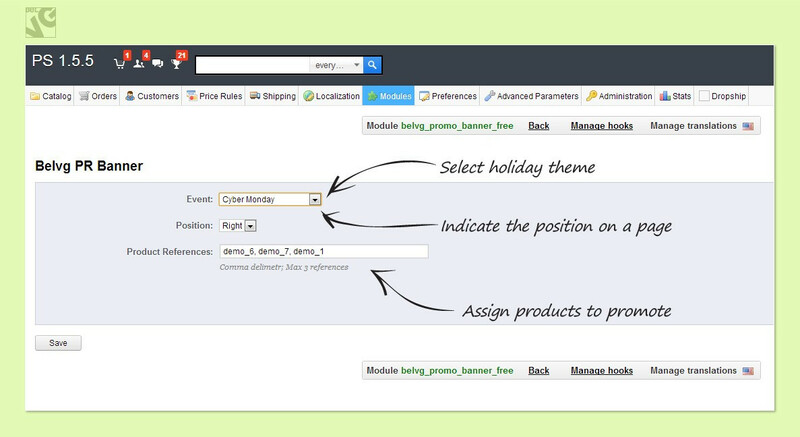 Just install the module, select a holiday and choose the products you want to merchandize – nothing else is required to create a successful holiday sales campaign!